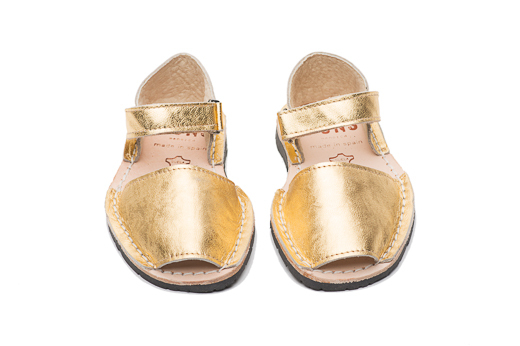 Let your little one shine with these Frailera Pons Avarcas for Kids in Metallic Gold. 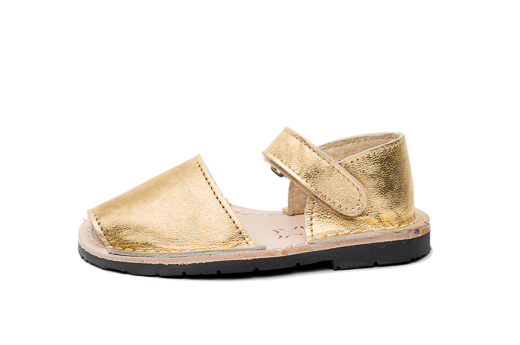 Made on the Spanish island of Menorca, these kids Avarcas sandals are crafted with high quality leather, a velcro ankle strap, and have a comfortable rubber sole. These little Pons are perfect for the holidays or to add some shine to the everyday!